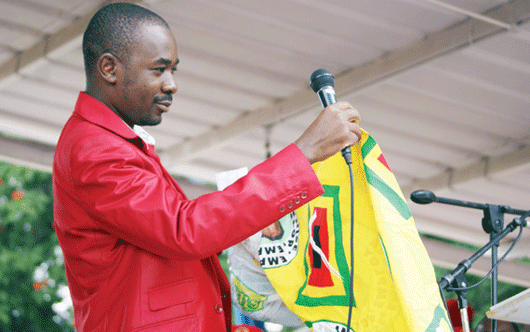 MDC Alliance presidential candidate Nelson Chamisa has ruled out the possibility of a presidential election run-off after the July 30 general elections, saying he was confident of winning resoundingly against Zanu PF leader Emmerson Mnangagwa in a free and fair contest. “Now I don’t know who wants to be the president between Mnangagwa and (Vice-President) Constantino Chiwenga. I don’t know who I am competing with in this election. “Let me lead this country since I have never killed anyone, I have never stolen anything from anyone,” he said. Chamisa urged party activists to compile a list of people who were intimidating them to enable him to file a formal complaint with the Zimbabwe Electoral Commission (Zec). He also lashed out at Zec, accusing the electoral management body of failing to discharge its mandate professionally. “Zec should be sidelined and stop supervising elections, we need a proper referee since we have failed to agree with them. We demonstrated in Harare over the electoral reforms and the demonstration was well attended and some people wanted to march to Emmerson Mnangagwa’s home, but I said no,” he said.